One of the most heated debates in Family law is who gets to keep the child(ren). There are numerous considerations and factors outlined under Texas law for attorneys and judges to consider, however, the prevailing factor is what is in “the best interest of the child.” This determining factor requires a look at the child’s entire environment which includes each parent’s situation, living arrangements, neighborhood, proximity to loved ones and other important factors to help contribute to the child’s health, welfare, physical safety, and emotional wellbeing. Other factors include, which parent is able to prioritize the child more than the other, how much each parent has contributed to the child’s care including helping the child with school, extra-curricular activities, physical and emotional development. Usually, each parent’s attorney work together to devise a “parenting plan” that best satisfies each side’s wishes. If a child is 12 years or older, the child’s preference will also be taken into consideration. If both sides are not able to reach an agreement, a Court will make the decision and must follow the “best interest” standard. However, usually, the Court’s decision may not be what each parent desires. Under Texas Law, child custody or “conservatorship” must be determined when children are involved in a separation to determine who gets to make decisions regarding the child’s healthcare, education, extra-curricular activities, and more. Texas presumes both parents are fit to be named “joint managing conservators” each with rights to make decisions regarding the child’s education, health, and welfare instead of a “possessory conservator” who has limited access and rights to the child. Joint managing conservatorship also means no parent may make major decisions without the other’s consent, such as going forward with a medical procedure. Additionally, one parent is given primary physical custody to determine where the child lives during the week vs. weekend. However, Texas courts do not instantly grant joint conservatorship and are given considerable discretion in determining what is in the best interest of the child. External factors or special needs of the child create exceptional circumstances to deviate from the general standard possession order, which outlines the general division of not only child custody, but also child support, property, debts, and even who gets the dog if needed. Thus, joint managing conservatorship most likely will not be granted if, for example, one parent has a history of abuse, other violence, or egregiously hiding assets from the other parent. A Court may also deny joint managing conservatorship if such extenuating circumstances of one parent would affect the child’s physical and emotional welfare. Child custody battles are very contentious and difficult on everyone involved. It is highly recommended to get a qualified attorney to navigate and promote a well thought out parenting plan regarding conservatorship and more. In this way, a Court does not need to step in and order what neither parent most likely may not prefer. It is imperative to talk to your attorney and discuss all facts of your case to help you in the best manner possible. In this way, you are able to control the outcome of your case so that you are satisfied and the best interest of your child(ren) are also satisfied. This fosters a great path for the entire family to easily move forward, reduces stress levels, and helps your ability to make future holiday family plans. Either party in a divorce decree may seek to change child support or custody in a prior decree. The requirement to modify a decree is to show a material, substantial, and continuing change of circumstances. The burden to prove this test is upon the person who desires to change the decree. Circumstances that would necessitate a modification include moving to another state, significant changes in income, and problems relating to the care of the children. Modifications of final decrees of divorce are not simple and may become very difficult challenges to accomplish. It is best to have child support and custody confirmed in the final decree from the beginning. However, although more difficult to change after, it is a challenge to pursue. It is highly recommended to hire a qualified attorney to handle the modification of the decree. Custody terms are binding, yes, but it is still possible to petition for a change of the final decree of divorce. In many states and in Texas, this is considered a “modification” of the final decree of divorce. The determining factor that must be proven by the challenging party or the “movant” is a ‘material and substantial change’ in circumstances since the date of the prior order. Even if there is a change in income or other circumstance which is grounds for modifying a petition, a Court will not order the change unless there is a showing of a substantial or significant change in circumstances. Usually, this is to not allow a repetition of the first trial or to subject all parties to the Court system once again. States generally require six months after the decree is signed by the judge before a party may petition for a modification of the decree. Even more so, some Courts make the burden of proof on the movant much higher if the petition is filed within only one year of the prior decree. Once the petition is filed, the movant’s behavior as a parent is extremely crucial to winning this fight and is under scrutiny. The movant must strive to be the best parent which includes:taking much interest and being active in the child(ren’s) school activities, school projects, after-school activities, sports, family and friend activities, supportive and thoughtful of college goals and other future goals, being on time with any child support payments, not missing any designated custody and visitation periods, getting the child(ren) to school and other activities on time, etc. All such efforts should be heavily documented through pictures, written records, and witnesses. This model behavior is critical in order to increase the possibility of achieving the modification. A Court will use this behavior to make a determination of the modification. Additionally, if the movant does not use this model behavior as solid proof for the Court, the other parent will use any other behavior to prove their argument against you. Thus, if the movant does not strive to carry this model behavior, it will damage the efforts. It is critical to continue to have model behavior and document every step. It is best to seek a qualified attorney to handle modifications of divorce decrees. 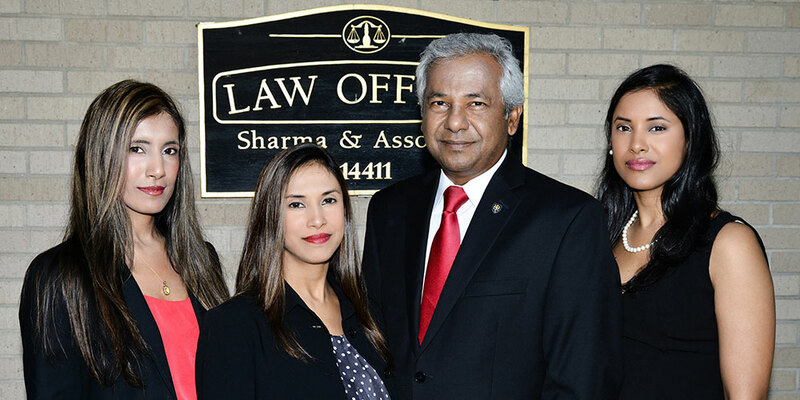 Sharma & Associates, P.C. has represented thousands of individuals in various cases throughout the last 20 years. Sharma & Associates, P.C. began as a general practice firm, handling an array of cases including Business Law, Business Organization Law, Contract/Tort, Defamation, Employment Law, Trusts & Estates, and Real Estate Law. Sharma & Associates, P.C. now focuses its practice in the areas of Personal Injury/Accident, Immigration, Criminal Defense and Family Law. Due to our long history of experience and knowledge in many areas of the law, our clients are overwhelmingly satisfied that they can get all their legal services from one trusted law firm rather than having to seek different law firms for different legal issues they may face during the scope of their lives.